Here’s the reality, the 2019 Minnesota Twins are plenty talented. This team is good enough to challenge the Cleveland Indians for the AL Central division title, and they’re built to win a postseason series. They aren’t a juggernaut however, and that’s more than OK. Teams like the Tampa Bay Rays and Oakland Athletics of 2018 exist because they win in situations where the outcome is somewhat left to chance. Through their first five games, Minnesota has stolen opportunity when left up for grabs, and that couldn’t have been more apparent in than the final game in Kansas City on Wednesday afternoon. Setting the stage a bit: Kyle Gibson had a less than ideal outing. Although he cruised through four innings ceding just one run, there’s no denying that he danced around a certain level of danger. In the fifth, the good fortune ran out and the Royals hung a five spot on the Twins starter. After building a 3-1 lead the inning prior, Rocco Baldelli’s club found themselves looking at a 6-3 deficit with just four innings to play. What took place from that point forward is where this story begins. The Twins lineup put up runs in three of the next four innings, heading into the bottom of the ninth clinging to a 7-6 lead. This lineup, which has been infused with power bats and fresh faces, took good hacks at the plate while forcing counts in their favor. Coming back from a three-run deficit, they allowed the bullpen an opportunity to steal a win out of what looked like a defeat. In the bottom of the ninth inning Whit Merrifield stepped to the plate, and the tone was set. Mitch Garver, who was more than overwhelmed defensively in 2018, took over the game. Trevor May had gotten behind to the tune of a 3-1 count and poured in a fastball on the outside corner of the zone. Garver stuck the pitch and attacked it, allowing home plate umpire Jeff Kellogg to accurately call it a strike. A season ago, Garver likely lets the pitch get in on him or drift, and it would no longer present as a pitch within the strike zone. After generating that strike, which Merrifield believed was ball four, May went back to the corner of the zone but slightly missed his spot. Garver set up low and Trevor’s fastball drifted outside and off the plate. Because Garver was able to grab the strike just a pitch earlier in the at-bat, the Royals outfielder chased this one and rolled a weak grounder to second base. With such a strong hitter at the plate, and only a one run lead to protect, that at-bat set up the Twins to hang on in the game. We’re far too early in the season to put any stock in advanced defensive metrics. That said, you’d be hard pressed to find anyone closely observing the Twins not taking notice of Garver’s step forward. 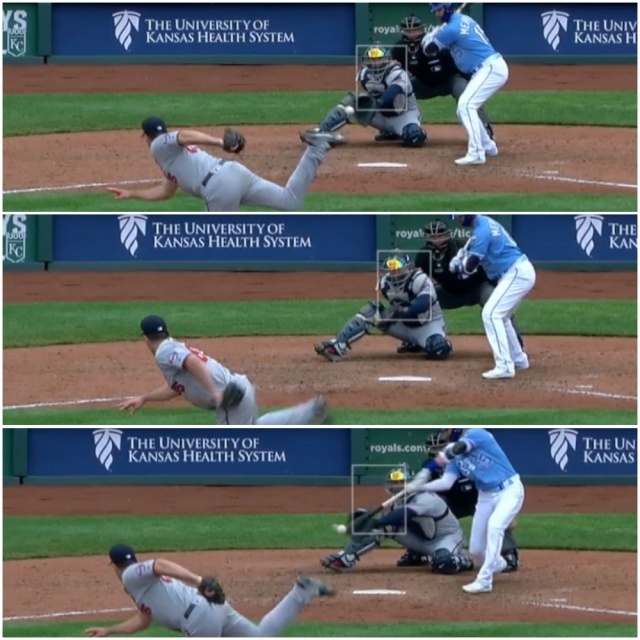 He’s got a much stronger command of the zone, is setting up behind the plate in a way that allows the umpire a better vantage point, and in general his defense appears to have taken significant strides forward. For both Garver and the pitching staff, this is a development that will no doubt equate to a few more wins over the course of a full season. On top of this specific instance, Minnesota won their second one-run game of the season by closing out the Royals. A season ago the Twins went 15-21 in one-run contests. They didn’t win their second one-run game on the road until June 28th. In completing the two-game sweep of Kansas City, Minnesota busted out the brooms over a full month earlier than last year. Winning the close games, and beating a team they should, are two areas of welcomed development for this big-league slate. It’s early and will remain that way until spring turns to summer. Taking care of business as often as possible helps to set up a much more manageable path to the postseason, however. Minnesota leads the division by a game currently. They haven’t experienced a 2.0 game lead since June 15, 2017 and haven’t led by more than 3.0 games since October 3, 2010. Continuing to put themselves in a position where they can win in these small scenarios, or key instances, is what will eventually vault this team to a place to which they aspire. Mitch Garver setting up an important out in April isn’t a huge deal. Coming back to win a one-run game against the Royals before May likely gets forgotten. Replicate these situations as often as possible however, and you’ll have a season in which a strong process is driving equally strong results. I watched this andyes Garver did do good job showing a stike on pitch that you are writing about. But i also saw previous couple of pitches where the umpire missed a call on strike on the corner. I took this call more as a make up call for the strike that was missed earlier in the at bat. If you are right and catchers can influence the umpires to make calls on pitches that are not strikes then we are in trouble with pitch calling in baseball. If this is the case we are heading for electronic strike zone calling done by machine and if my guess is right its not to far away. With advancement of technology we see pretty much every pitch now if it is in the strike zone or not. If we start seeing where are distinct advantages for some players and not others public is going to demand that umpiring is taken over by the technology. I guess this should not surprise us on this tennis has already switched to verifying calls by electronic technology. My thoughts is more they use there technology to gain advantage the more they loose because people watching the game demand that their since of fairness in the game. Thus we end up changing the game and possibilities of having the human element of chance being removed from the game. What I worry about we soon will loose what was special about baseball the human element to the game. Despite this article focusing on Garver, I'd like to make a few points removed. 1] Cold weather be damned in regard to hitters, it also affects pitchers, and both teams. SUPER EARLY,but we have some solid early pitching. Just a couple better defensive plays, the pitching numbers might look even better. The Indians lineup stinks? Maybe. But we also faced 3 of the top 10-15 SP in the AL. 2] We made some bad plays in the Royals series. And we left way too many guys on base and blew opportunities. But we hung in tbere and overcame. 3] A small break and a little better defense, and Gibson escapes the 5th. Is that great? No. But it's also his first start and he's ramping up still. 4] This offense has blown several opportunities thus far. But we've seen flashes. And the potential is there 1-9. It's all still a work in progress at this point, as it is for all teams. So far, so good. I'd like to address Garver specifically, as the article went there. Whether you like Castro a little or a lot, you can't deny his veteran presence, in this case lack of, hurt the Twins in 2018. Garver was supposed to be broken in last season behind him. Please don't give me some generic "he shouldn't be there if he couldn't do the job" rhetoric. A Mauer or Rodriguez type are few and far between. Garver was a good bat, decent catcher, who would learn on the job. It didn't quite work out that way. Good or bad, right or wrong, Wilson became the #1 guy most days. A funny thing happened. Garver's defense improved, and his bat came alive. Astudillo got his shot, and his bat was lively, and his defense was solid. So now Castro is healthy, and Garver continues to work hard on improving his defense, as he and the coaching staff have commented on. Catching is a hard position to fully quantify. There are so many great catchers who can do everything. If it was easy, every team would have a Mauer, Rodriguez, Posey, etc. For the first time in years, the Twins are blessed and deep. They have a veteran catcher who knows what is going on and can hit a little with some power. And they have a young catcher growing defensively with a much better bat. And they have a solid 3rd catcher who seems quality, who can also play various positions, and can flat out hit and produce. With all due respect to his ability and what he brings, Castro will be traded to a team that needs help and Garver and Astudillo will be our backstop a month or so from now. Ah fandom. Garver has a couple of good games there is the love. When Garver has a couple bad games in a row, out will come the pitchforks. What is baseball coming to? Catchers getting credit for catching strikes? I understand framing and its merits. It's a technical aspect of the catching position.It should be judged as such.Sonja Henie got a few 10's in her day on the ice recognizing her perfect performance. Garver was 5? ; Now a 7? I like Doc's thought process about trading Castro by June.Add a couple of those quality prospects who would be Rule 5 eligible this fall with no room on the 40-man and maybe they can return a nice prospect a bit further down the ladder and/or a good reliever for the stretch run this year. I do not see the market for Castro. Maldonado was a free agent and couldn’t get a contract until into spring. They bring a very similar skill set. It is going to take a team that is losing a catcher to Tommy John. It is going to need to be a contender without a good back up option. Every team just passed up on Sandy Leon. Castro is a better hitter but not so much better that he will bring a significant return. Keep all three. The return for Castro will be minimal. Imagine trading Castro and then Garver has concussion trouble. I don’t see anyone ready to step in and catch twice a week in AAA. Assuming everyone is healthy there is enough versatility among the roster to survive a three man bench with Garver, Astudillo and either Cave or Adrianza. They also aren’t stuck with a rule 5 guy at the end of the bullpen. Harper and Hildenberger have options and can be shuttled with Moya, Vazquez, Duffy or Romero to assist an overworked pen keeping the need for 13 temporary. I've enjoyed the first two series. The team does have talent and some of it seems to be working. Really hopeful that Kepler, Buxton and Sano (when he's back) take big steps forward. If all three do, I think we win the central. The Twins seem to have a solid, deep lineup with potential to be better. That's great. Berrios seems like he wants to throw 200 innings this year. And Pineda might turn into a sneaky good signing. Jason Castro is a significantly better hitter than Sandy Leon. 60 points of OPS is a huge margin, especially at the catcher position. The only thing Leon and Castro have in common is that they are both catchers. I'm not advocating to trade Castro, I'd also keep him. But he would fetch a decent return. 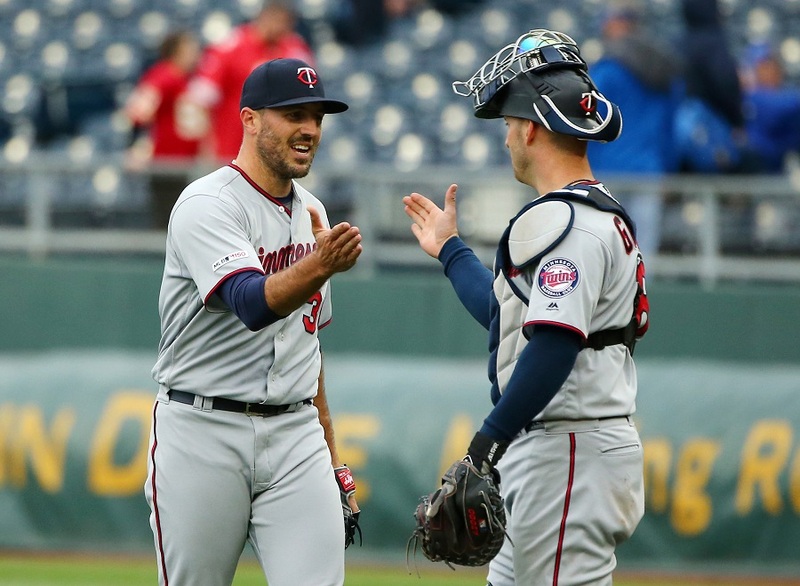 "Here’s the reality, the 2019 Minnesota Twins are plenty talented. This team is good enough to challenge the Cleveland Indians for the AL Central division title, and they’re built to win a postseason series." I'm bullish on the '19 Twinkies, but this strikes me as wildly irrational optimism. When Sano comes back, it'll be a bench of Garver, Astudillo, and Gonzalez. The only way that changes is if Castro can't get into the "swing" of things and he is out-played by Garver and Astudillo; at that point, it because a bench of Garver/Astudillo, Gonzalez, and Castro. Castro does not have the versatility of those three, and quickly becomes the dispensable piece of the bench/roster. All I can say is that it is working so far. The Twins had a good week.Let me know when it's a good month. i know, and yet I see other teams' catchers pull the same stuff and get the calls. I think the good umps, of which there are many, filter that mitt stuff out.